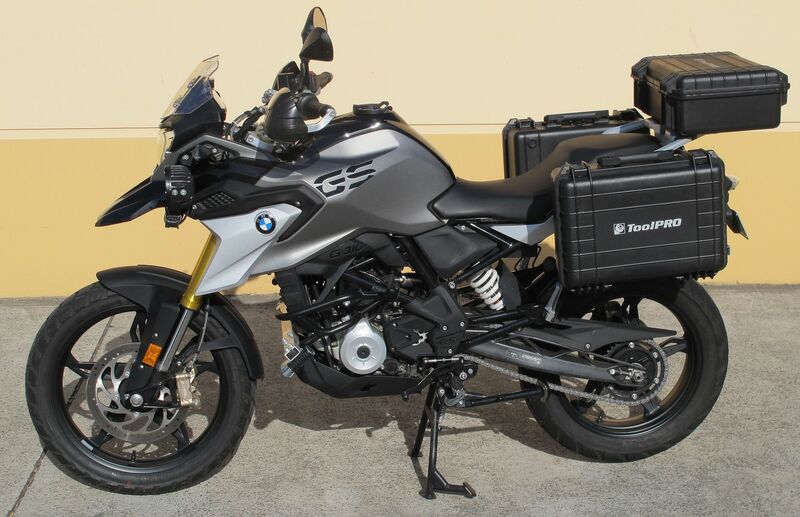 Anyone equipped there G310R with rear panniers etc ?? Thinking I might to get some but not totally sure what would look best Bags or boxes !! 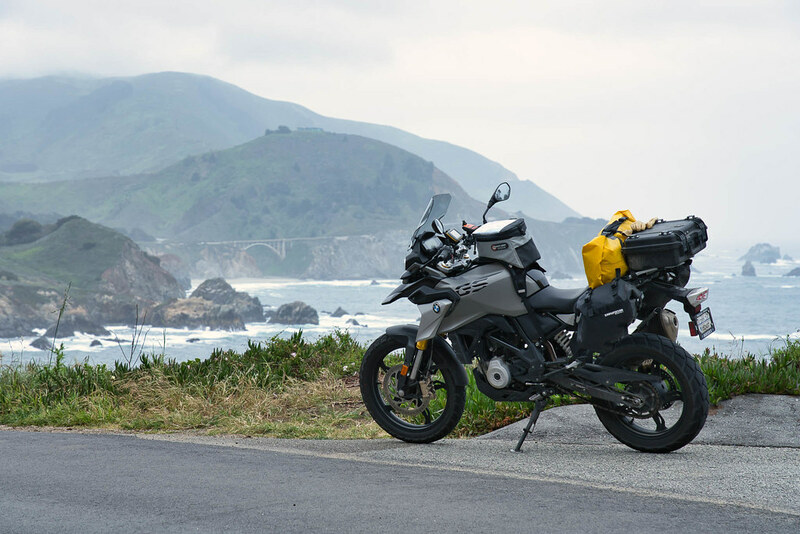 Giant Loop Fandango tank bag, Enduristan Blizzard L panniers, Wolfman double-ended duffel, and a Pelican top case bolted to the rear rack. They've all worked well for me. So have you ordered the tanklock fitting plate as well ?? The BMW tankbag fits just like it was made for it. About the same size as the largest from others, straps fit under the seat edge and around the fork neck. Price is reasonable. No pics. 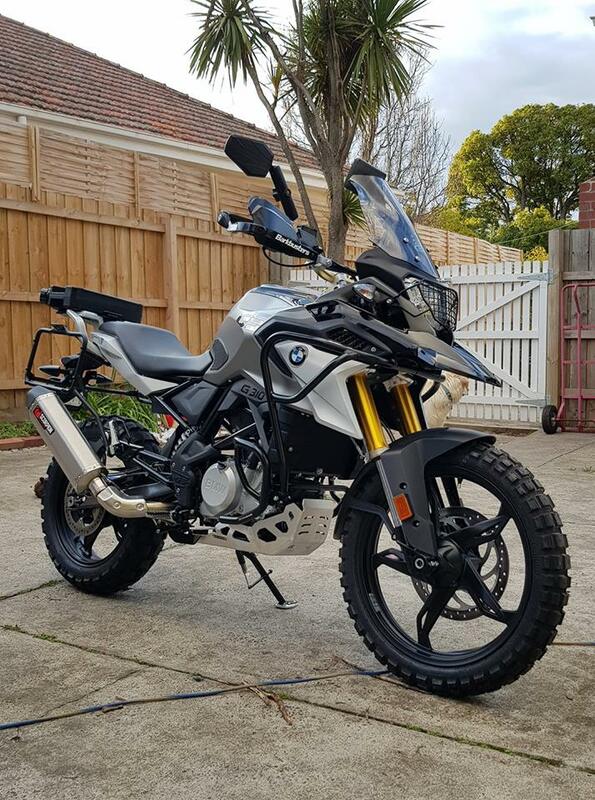 I've fitted Givi pannier racks and had the intention of Wolfman bags, but one thing which I couldn't get an answer to from anyone when I bought them, was the width on the right hand side...they're perfect with the OEM exhaust, but absolutely useless with the Scorpion. I don't understand why the exhaust needs to stick out so far, and this is a constant source of annoyance for me, as I'm struggling to find a solution atm (other than expensive modifications). 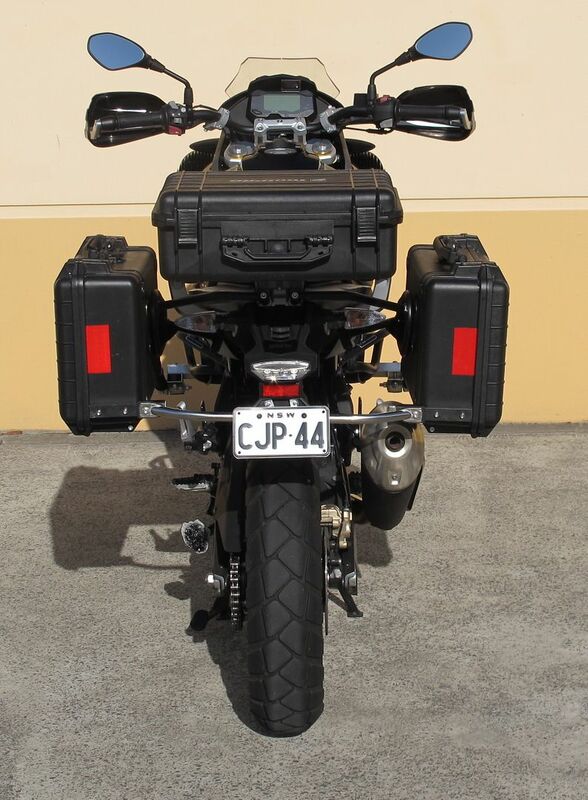 I'd be really interested to see some rear-end pics of other pannier racks, in particular the Hepco & Becker ones, and also some rear-end pics of exhausts. It's doing my head-in!!! 5 Attachment(s) Go to first new post What's Everyone Wearing?